Sharon Herr is a Registered Dietitian and a Certified Dietitian in New York State. She has been a reviewer for Krause's Food, Nutrition, & Diet Therapy (a widely used nutrition text for undergraduates), written articles for nutrition newsletters and co-authored research papers presented at state and national dietetic conferences. Edzard Ernst, MD, PhD, FRCP (Edin. ), Department of Complementary Medicine, School of Sport and Health Sciences, University of Exeter, England. Dr Ernst has published several hundred papers, and 30 books. He is founder/ Editor-in-Chief of two medical journals, FACT - Focus on Alternative and Complementary Therapies and Perfusion. He served as an external examiner for the Universities of Bombay, London, Ulster and Manchester Metropolitan. He sits on the 'Medicines Commission' of the British 'Medicines Control Agency' and on the 'Scientific Committee on Herbal Medicinal Products' of the 'Irish Medicines Board'. 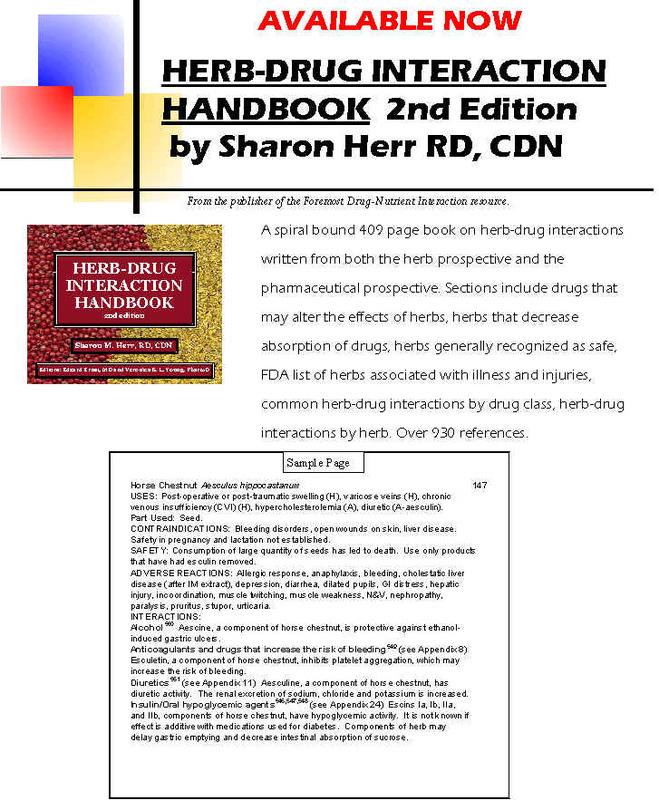 Copyright © 1997-2003 Food Medication Interactions. Last updated 10/22/2003.